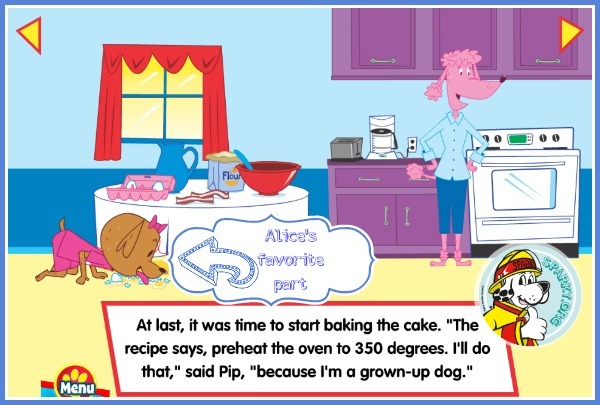 New free app for kids age 2-6 teaches fire safety with creativity and compassion. The National Fire Protection Association’s (NFPA) children’s website, Sparky.org, has branched out beyond its kids website. 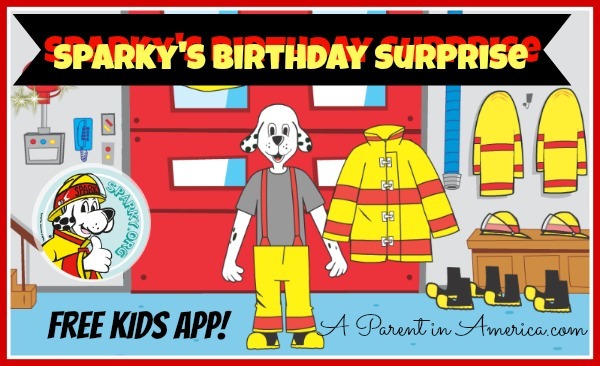 They have just launched a new free app for families, Sparky’s Birthday Surprise. My two- and seven-year-old daughters loved reading the story, manipulating the cute interactive elements during the story and playing the educational games. Downloading it was a great addition to our family’s Fire Prevention Week learning and our select collection of children’s apps on our family iPad. The premise of the story: Sparky the Fire Dog is celebrating his birthday. While he is putting on his fireman’s gear at the fire house and riding around in the fire truck, his (fellow dog) friends are planning a surprise party. With humor and age appropriateness, kids learn what to do if the smoke alarm sounds, how to exit the house safely and the importance of choosing a family Outside Meeting Place after an emergency. 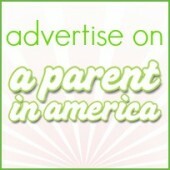 There are also educational games, coloring and a sing-a-long. Eve liked reading to her younger sister — a story on a tablet is cool when you are used to books! — and Alice liked finding the interactive elements on every story page. Her favorite part: when you touch the eggs on the cake mixing page, they drop onto the floor. And then when you touch the dog next to the eggs, she drops down and licks up the mess. Hilarious. All laughing aside, I appreciate that the app is truly useful and not simply a mindless way to keep the kids occupied. 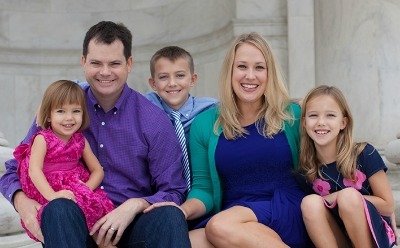 Educators who developed the app ensured that it is aligned to Common Core State Standards in English Language Arts and Math. Sparky’s Birthday Surprise is available at iTunes, Google Play, Amazon and Nook. Download it today in honor of National Fire Prevention Week. 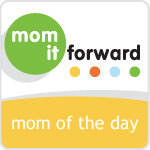 I am honored to partner with the NFPA to share this app with readers. All opinions are my own. into a usable form that keeps our food fresh and room cooler. mostly empty (as more cold air escapes when you open it) so if you live alone, a fridge which is only a quarter full is costing you too much money to run.